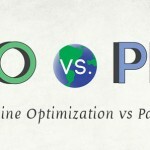 Google AdWords Vs Yahoo Bing Network - eBiz ROI, Inc. Many digital marketers limit their paid their search programs to Google AdWords. A closer examination of Google AdWords vs. the Yahoo! 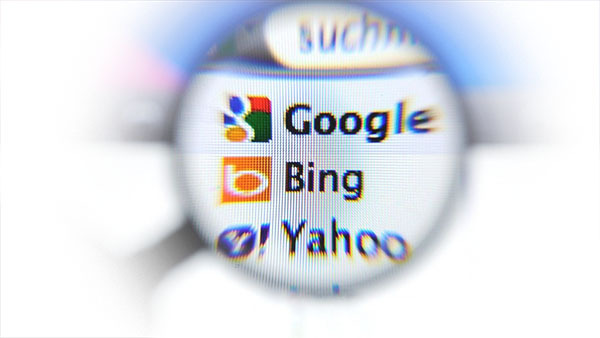 Bing Network reveals some strong incentives to test Yahoo! and Bing PPC (Pay Per Click) ads. Paid search is one of the top sources of targeted, high converting website visitors. In fact, among the digital marketing channels available, PPC provides the highest ROI (Return On Investment) of any type of online advertising. As we can see from the graphic below detailing the customers buying journey from a digital marketers perspective, paid search is critical as an assist or last interaction on a buyer’s online path to purchase. Given that Google has enjoyed a roughly 67% search market share in the US search market for the last 5 years, it’s easy to understand why digital marketers equate paid search with Google AdWords. 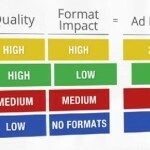 The flip side is that limiting paid search to Google AdWords ignores a full third of search advertising opportunities. Given the high ROI of paid search, ignoring Yahoo and Bing paid search options is simply leaving too much value on the table. The infographic below covers 8 compelling reasons to add Bing and Yahoo! to your paid search programs. There is little doubt that digital markets can increase ROI by advertising on other smaller search networks like Yahoo! and Bing. Market share: With nearly one of the three online searches performed with Google’s competitors, anyone not actively marketing their website with Bing, Yahoo! and other small search networks is missing a large segment of the market. In fact, According to comScore, 45 million domestic Yahoo! and Bing search users do not use the Google search engine, suggesting huge potential for advertisers who take advantage of paid ads on Yahoo! and Bing rather than just relying on Google AdWords alone. Lower CPC ( Cost Per Click): Clicks from the Yahoo! and Bing search networks cost less per click the those from Google AdWords. The majority of advertisers experiencing higher CTR’s on AdWords will benefit from lower CPC on Yahoo and Bing search for the same search terms, lower their CPA (Cost Per Acquisition). Higher CTRs (Click Through Rates): 9.5% of the financial services advertiser’s had higher CTR’s on Yahoo and Bing search networks then on AdWords, including Citi Cards and Fidelity Life. 5.7% of the shopping in classified advertiser’s had higher CTR’s on Yahoo and Bing, including JCPenney, QVC, Old Navy, Kmart and Shutterfly. Less competition: Studies show significantly less competition on Yahoo! and Bing Ad Networks then on Google Adwords. There are fewer paid search competitors vying for premium ad positions on Yahoo! and Bing than on Google Adwords. 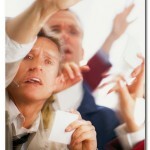 This improves and advertisers chances of gaining top bid ranking. Overall, AdWords competition is 56% higher of the six major categories started. 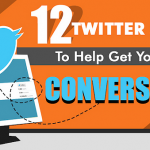 Better sales and conversion rates. Studies reveal that retail companies tend to get better sales conversion rates with Bing. Even with the lower CTRs with CPCs are 50% to 70% lower on Bing, the end result to advertisers is higher overall ROI (Return On Investment). Relevant Search Results: According to Experian Hitwise, Yahoo and Bing searchers click a search result and visit a website over 80 percent of the time while Google searchers only click through to a website 66% of the time. Customer Support for SMBs: Bing offers customer support for smaller advertising accounts. Google advertiser’s who spend more than $500,000 per year have a dedicated account representative. Bing is offering quality customer support to clients who spend at least $500 a month. 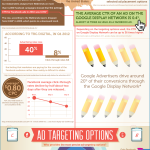 Google AdWords is the biggest PPC network in the world and should be part of any digital media plan in our opinion. That said, any business that is not taking advantage of the 33% of web search is conducted on search engines other than Google are simply leaving money on the table . Don’t ignore the millions of potential visitors to your website. These visitors cost less to acquire and spend more money than those acquired through Google AdWords.